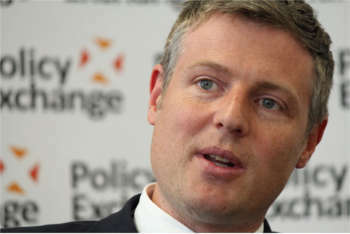 Conservative Zac Goldsmith has resigned as an MP over the Government’s backing for a new runway at Heathrow, while local politicians including London’s mayor have said they are considering challenging the decision in the courts. Making a statement in his constituency of Richmond Park and North Kingston, Mr Goldsmith pointed out that former prime minister David Cameron had given a ‘no ifs, no buts’ commitment when leader of the opposition that his party would not allow Heathrow expansion. Mr Goldsmith had himself promised to resign as an MP if his party changed its position and said on Tuesday (25 October) that he was honouring his promise and would trigger a by-election in which he will stand as an independent candidate. He said that the decision to support a new runway at Heathrow, subject to a year-long consultation, was ‘not the end’ and said ministers had chosen ‘the most polluting, most disruptive, most expensive option’ as well as ‘the option with the least chance of being delivered'. Among his reasons for opposing expansion of the west London airport, Mr Goldsmith said it was already breaching pollution limits and cited the expectation that expansion would bring one million more people within its noise footprint. He added that the surface transport costs of getting extra passengers to the airport could be up to £20bn. The Conservative council of Windsor and Maidenhead, where prime minister Theresa May has her constituency, also expressed its disappointment in the decision and reaffirmed its willingness to take legal action to ‘protect’ its residents. London mayor Sadiq Khan, who supports expanding Gatwick, said it was ‘the wrong decision for London and the whole of Britain’.